- Sturdy design and quality construction. 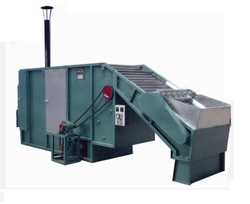 Tea roasting machine is one of the machines for green tea primary processing. It is used for second time water removing or final drying. And it is also used for evaporation, carding, buckle strips, and drying. This machine is also suitable for final roasting. The machine can be for several applications. Customized to.bacco dryers, toasters, ovens and coolers for efficient processing of to.bacco/TEA products. Banking on the skills of our qualified team of professionals, we are instrumental in offering supreme quality range of Tea Dryer. BEL make super quality Tea Dryer is the best Quality Tea Dryer in the market. It is used for Both orthodox & C.T.C. Tea. Chamber fabricated of best quality M.S. Popularly knows as VFBD, a dryer initially developed for Williamson Magor's own tea estates, has received world-wide recognition. There are more than 1200 installations in various Tea-producing countries. Several years of successful field operations have established its superiority over all fluid bed dryers available today. As per the needs and requirements of our clients, we are involved in providing Tea Dryer Machine. 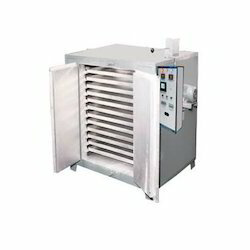 We offer high performing Tea Dryers that are nationally as well as internationally renowned. This machine has easy to use interface and occupies less floor space. Light weighted and durable, we can even customize these machines as per application requirements of the client. Additionally, we also offer them at best prices.